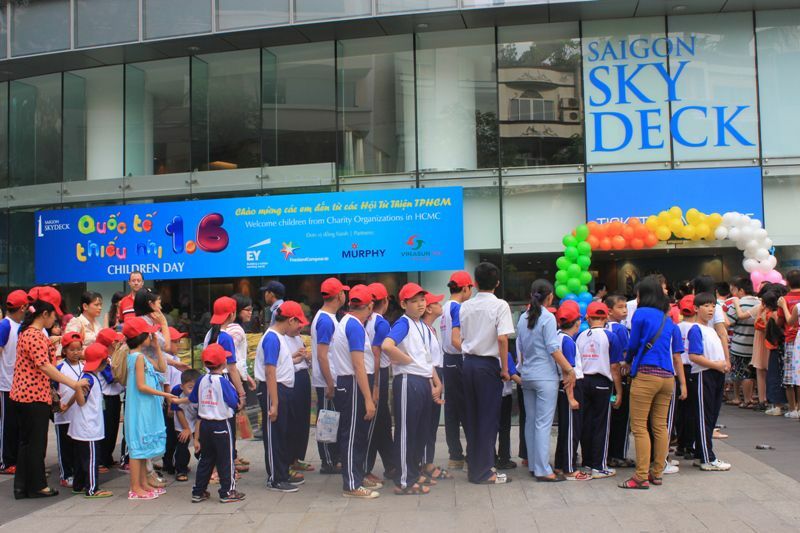 On the occasion of the International Day for children 1-6, the Board of Management of Saigon Skydeck observatory, under Bitexco Financial Tower building in collaboration with the Association for the Support Orphans Ho Chi Minh City, organized a tour, playing sightseeing and learn information HCMC’s tallest building in the city for the orphans, special circumstances are currently associations child supporting. 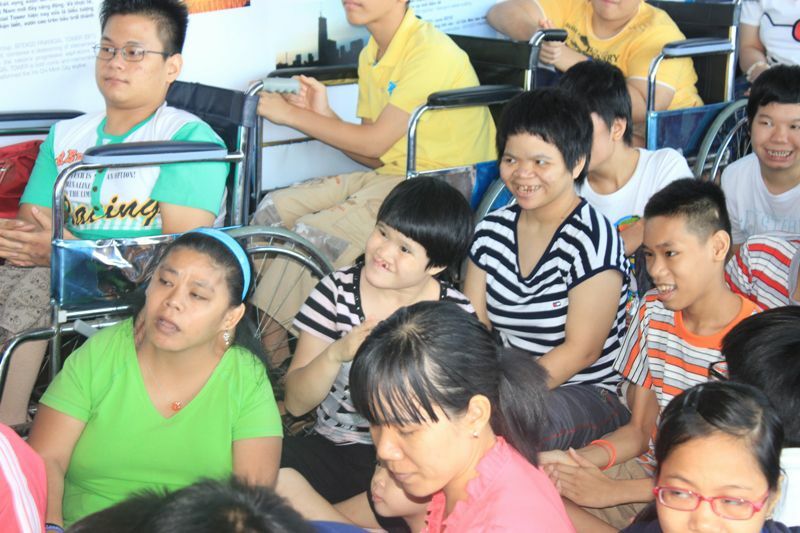 The program was organized for over 500 children in special circumstances from the Support Association, the disability field, loving homes. 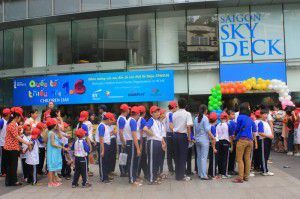 Management Board of Saigon Skydeck hope this is an opportunity for children to play in the International Children’s Day, expand their knowledge society and have a chance to play in the summer tour.